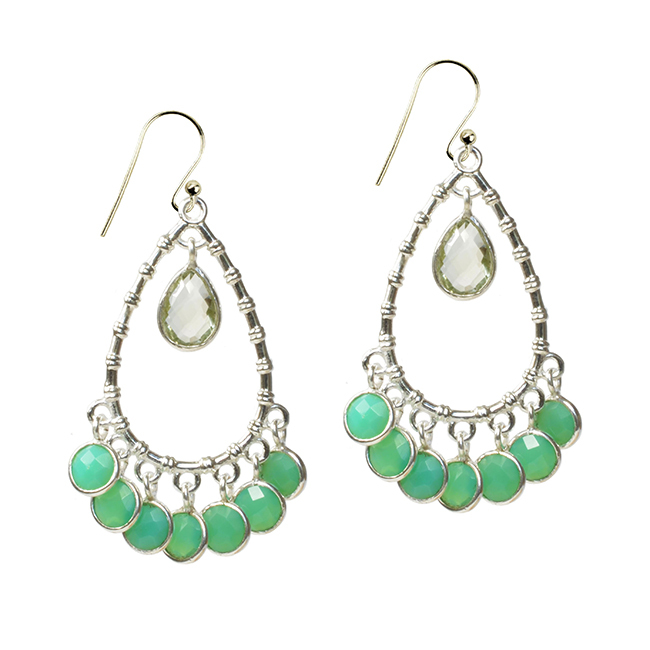 Romantic Chandelier earrings set with Iolite and Natural Chalcedony gemstones. 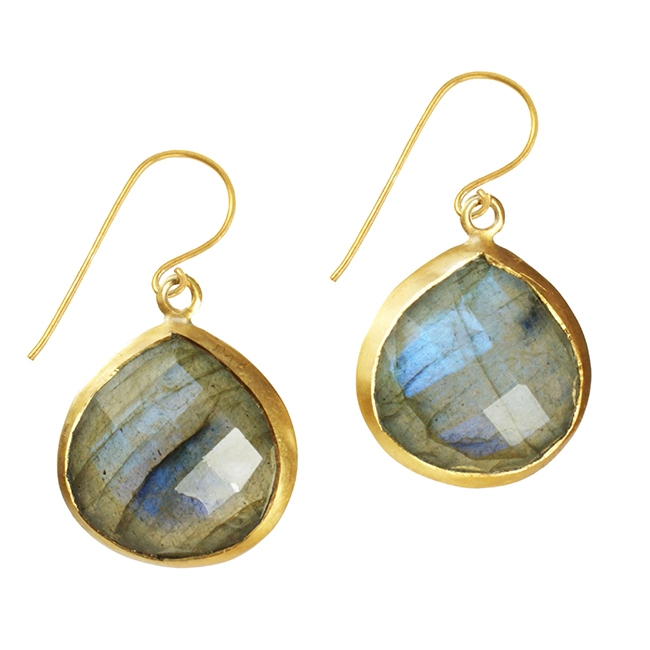 The earrings are silver gold vermeil. As with all our jewellery, these chandelier earrings are gift wrapped, making a lovely present. 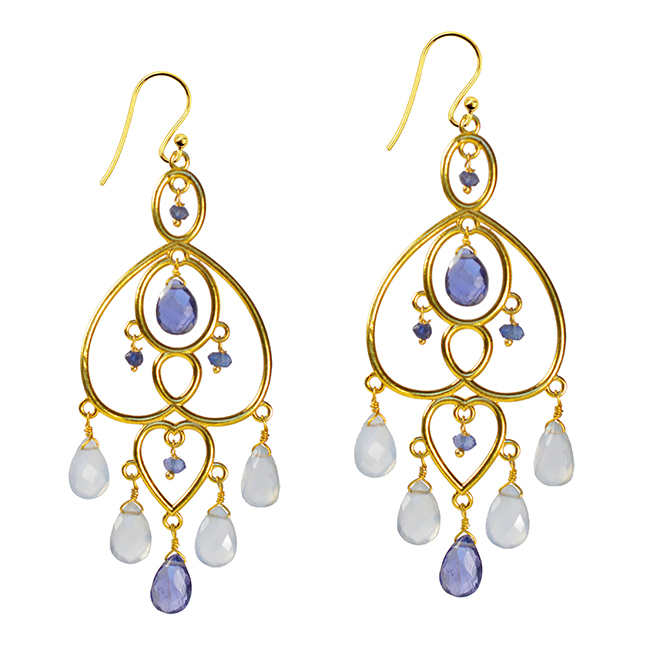 The Amelie Chandelier Earrings feature pretty drops of Iolite and Natural Chalcedony faceted gemstones. The purple/ blue of the Iolite compliment the subtle pale blue of the Chalcedony. 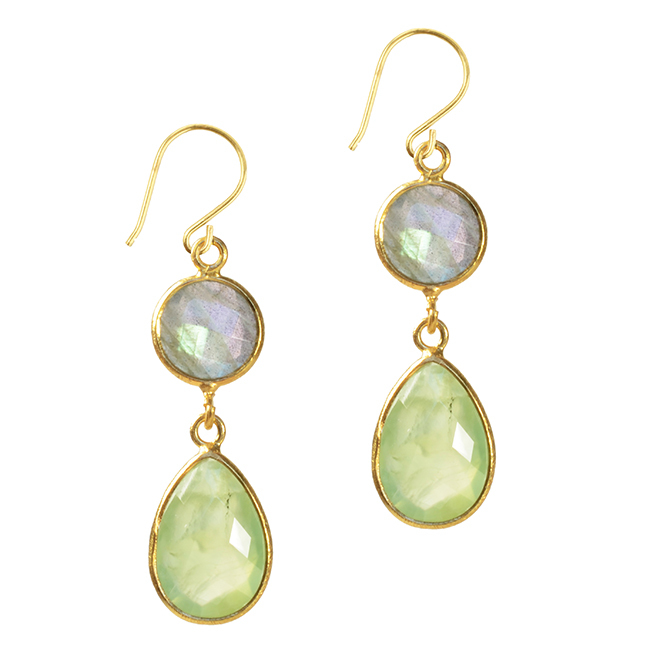 These pretty, delicate earrings will add a touch of drama. Where them in the evening with LBT or a floaty dress for a Boho look. As with all our jewellery, they come gift wrapped making a wonderful present.